Currently more than 100,000 civilian, military and police personnel are deployed in United Nations missions. Peacekeepers of all categories of personnel provide security and political and peacebuilding support to help countries make the difficult transition from conflict to peace, and courageously risk their lives in order to bring stability to some of the world’s most vulnerable populations. 3. Accountability of those in command and/or leadership who fail to enforce the standards of conduct. 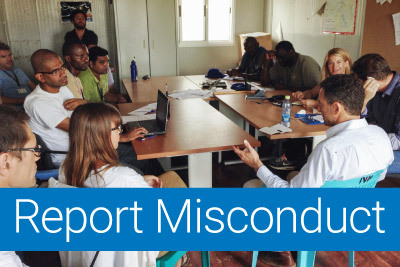 The UN Standards of Conduct need to be followed by UN personnel at all times.